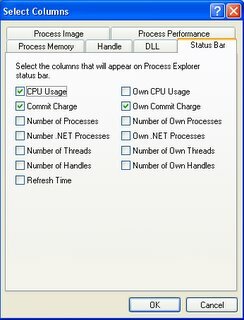 Microsoft Windows gives us the ability to run multiple processes simultaneously - it's called multitasking. 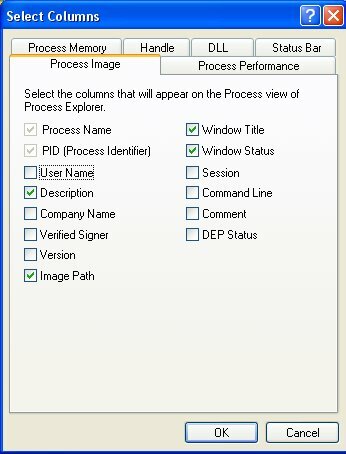 Some processes we start intentionally - we call them applications or programs. Other processes are started by the system - we call them services. Keeping track of all of the processes running, at any time, is a major activity. 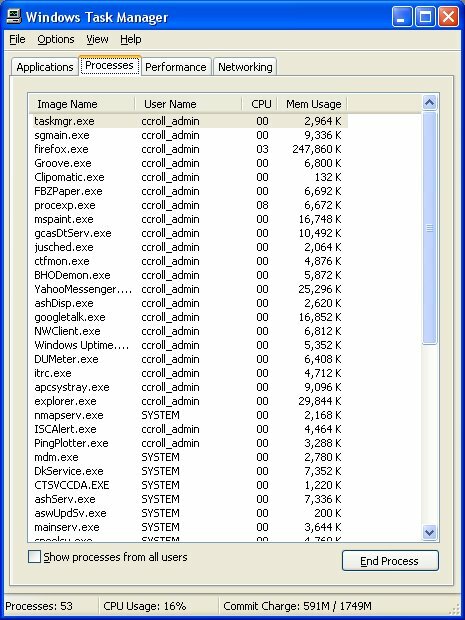 Microsoft gives us Task Manager, to track the processes. 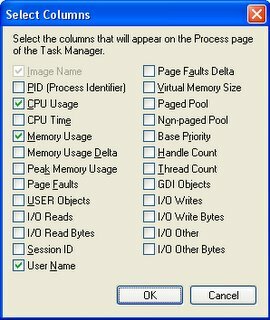 Task Manager lets us choose a total of 25 items that we can learn about each process. 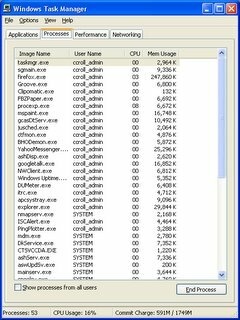 This is the original tool that you might use, in watching what your computer is doing. 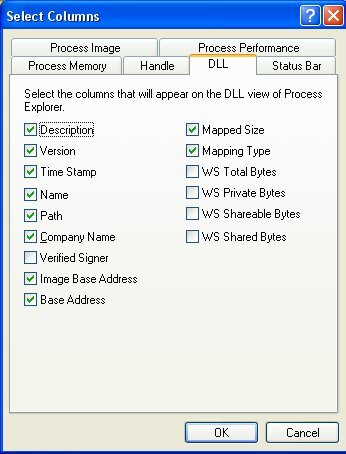 Process Image - 14 items. 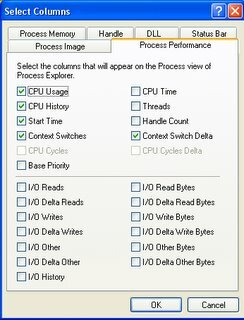 Process Memory - 14 items. 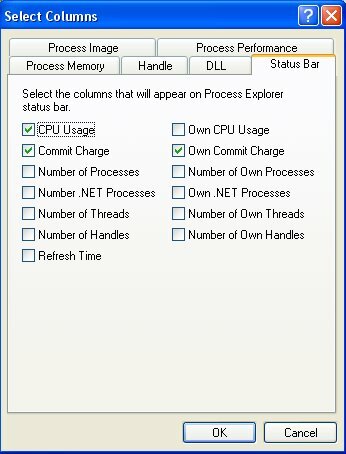 Process Performance - 24 items. Status Bar - 13 items. 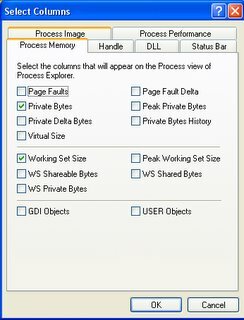 There are 3 Process (Image, Memory, and Performance) tabs. 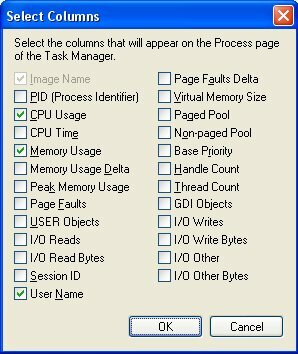 The complement of 52 items selectable there is comparable to the complement of 25 items selectable for Task Manager. 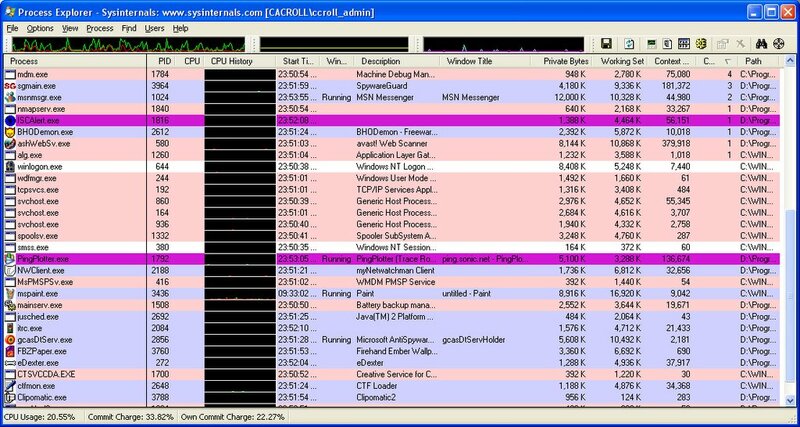 This is how I use Task Manager. You can choose any of 25 items here for display. 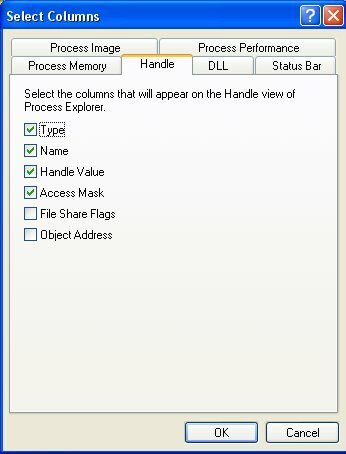 This is how I use Process Explorer. 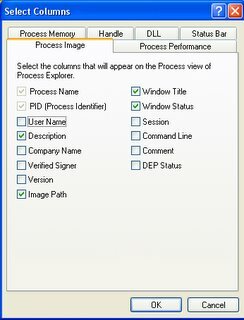 You can choose from 14 items in Process Image. 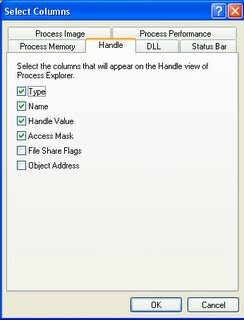 You can choose from 14 items in Process Memory. 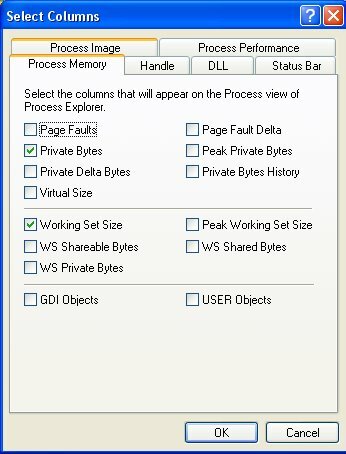 You can choose from 24 items in Process Performance. You can choose from 13 items in Status Bar. 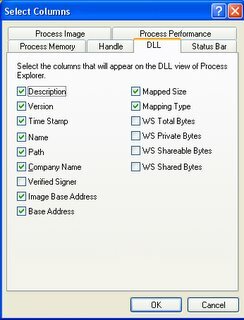 You can choose from 15 items in DLL. You can choose from 6 items in Handle.